We offer 12-month in-house financing for asphalt repairs in Winter Haven, FL. Asphalt Repair in Winter Haven – At AAA Top Quality Asphalt, we specialize in asphalt repair. As a home or business owner, you may find that you need asphalt repair for your driveway or parking lot. Whether it’s potholes, cracking or fading, we have the knowledge, experience, and tools to handle it. Asphalt repair is a service that is better done sooner than later. Cracks in your asphalt can leave the surface prey to moisture entry, which causes additional cracking, heaving and potential lifting. Potholes in your asphalt cause the same problem with moisture, and are also unattractive. If left too long, these holes may cause damage to vehicles driving over them. At AAA Top Quality Asphalt, we have been serving Winter Haven, FL homeowners, contractors, municipalities and industrial clients with top-notch paving services for many years. We have built our reputation on complete customer satisfaction. We differentiate ourselves by doing the job right the first time and offering industry leading machinery, products, tools and manpower. Asphalt repair can be costly, and for this reason, we offer 12-month in-house financing for both our commercial and residential customers. You should have the asphalt repairs that you need with a payment plan that you can afford. Call us at AAA Top Quality Asphalt today to book a consultation for your asphalt repair. 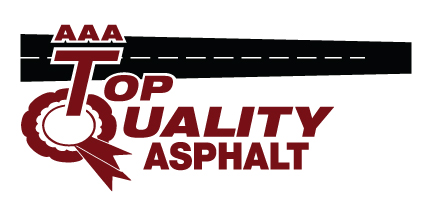 Here at AAA Top Quality Asphalt we provide quality Asphalt Repair for customers in and around Brandon, Lakeland, Plant City, Tampa, Winter Haven and Clermont, Florida!